We have been manufacturing turbo charger system components and complete turbo systems for various cars and boats since 1973, what can we build for you? 1978 while working for another co. 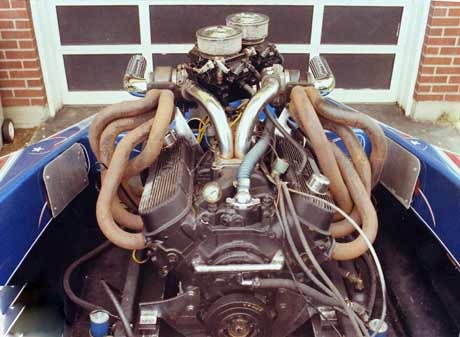 I designed, built and managed the production of this 308 carburetor-ed turbo kit. 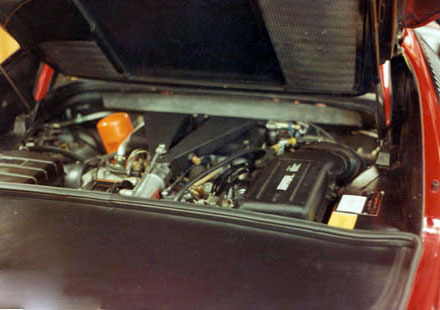 1983-4 Built 1 new stainless steel turbo system for 328 ferrari built a bolt on plenum/ blower manifold top , modified the jetronic air flow sensor housing to fit the turbo installed a modified a H.E.I. distributor to independently ignition timing. 2006 installed a complete stand alone E.F.I. 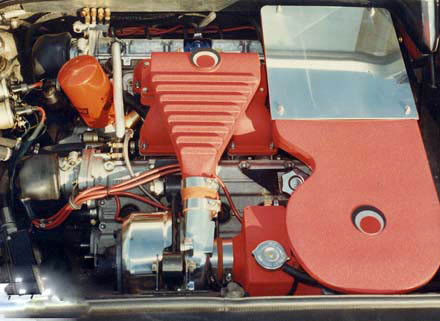 system on a 1977 euro 308 on which I had installed the first production 308 carburetor turbo kit in 1981? 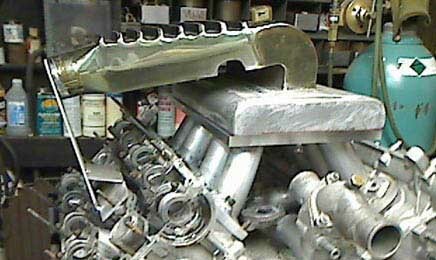 Rebuilt 1977 308 engine manufactured new E.F.I. 3rd gen blower manifold. 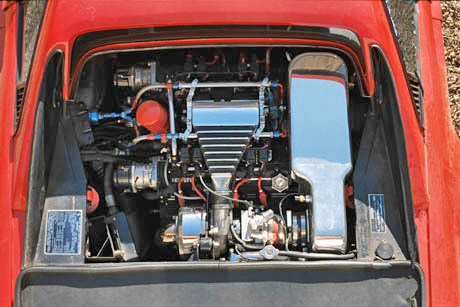 1973 originally built this engine for my 1960 corvette as a454 twin turbo, twin carb for street racing, gave up sold engine, built new headers for Hydro stream jet boat.